Of all the towns along the beautiful Hamakua Coast, Honoka‘a is the largest, offering a variety of dining options, quaint shops, a picturesque downtown, and fun cultural events throughout the year. 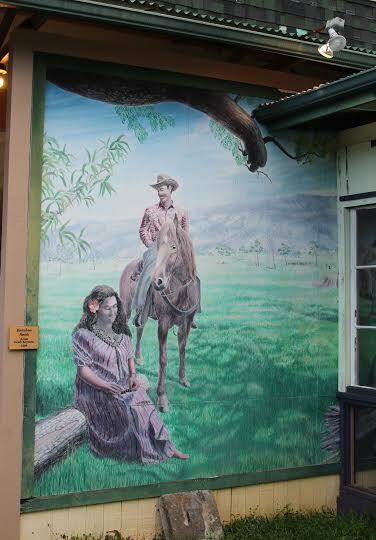 Steeped in history, this close-knit community is located on the makai (ocean) side of Mamalahoa Highway 40 miles north of Hilo and a short 15-minute drive south of Waimea. Once the second-largest town on island, roughly 2,258 people call Honoka‘a home. According to 2010 census data, the average age of residents is 41, with the population split almost evenly between men and women (48 to 51 percent respectively). The majority of the 843 housing units in town are owner occupied — there are very few condos or vacation rentals in Honoka‘a. For more than a century, life in Honoka’a, like the rest of the Hamakua Coast, centered on the sugar cane industry. To this day, the small town retains its plantation-era charm. 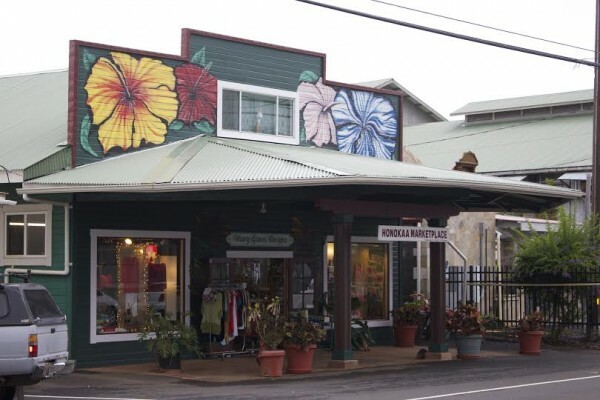 Most of the buildings on Mamane Street, the main street in downtown Honoka’a, were built in the 1920s and 1930s by Chinese and Japanese workers who left the plantations to open their own businesses. 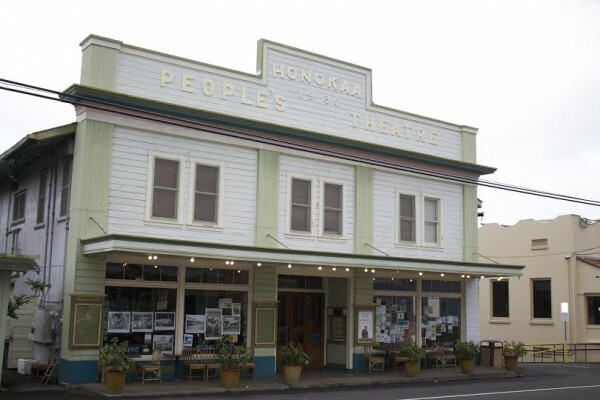 I’d be remiss if I didn’t mention the historic Honoka’a People’s Theatre. Built in 1930 by the Tanimoto family, the historic theater is home to music festivals and concerts and also shows current movies. Agriculture and ranching remain a vital part of the local economy even after the demise of the sugar cane industry in 1994. There’s a weekly farmers’ market in downtown Honoka‘a featuring locally grown produce, and Andrade Meat Market offers locally raised grass-fed beef. What’s more, you could spend a month of Sundays exploring all the local farms that offer culinary and farming events in and around Honoka’a. 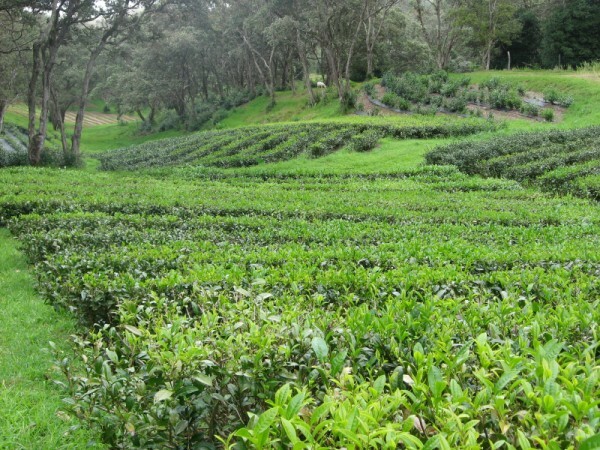 Sip on organic green tea during one of Mauna Kea Tea farm tours or learn how to cook savory dishes at the Hawaiian Vanilla Company. The Peace Parade and Festival is another big crowd pleaser. It’s held every September in conjunction with the United National International Day of Peace, and draws thousands of attendees from around the island. Honoka‘a is also home to the North Hawaii Education and Research Center (NHERC), a satellite campus of the University of Hawaii, Hilo. NHERC offers both college courses and non–credit personal enrichment classes, a computer lab open to community members, a rotating art exhibit gallery, and history archives. Health care services are close by too – the Hamakua Health Center is located in downtown Honoka‘a and the North Hawaii Community Hospital is just a short drive away in Waimea. When it comes to outdoor activities, there’s a lot to do in Honoka‘a. One of the most breathtaking views on Hawaii Island is just down the road from downtown Honoka‘a at the Waipio Valley lookout. Only one-mile wide and five miles deep and surrounded by 2,000-foot cliffs, Waipio Valley is among the most sacred places on island. The boyhood home of King Kamehameha the Great, the verdant valley is accessible only by four-wheel drive vehicles and horseback. 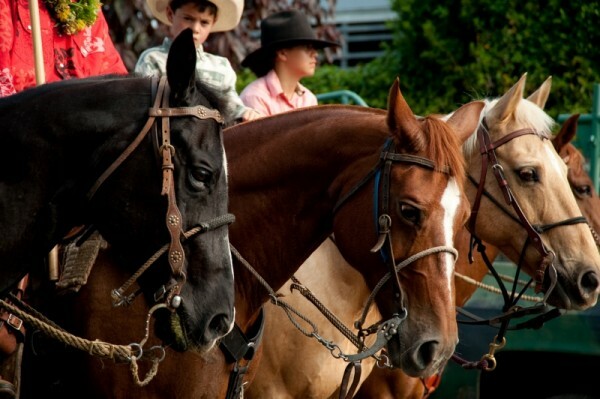 There are numerous opportunities for hiking and horseback riding to explore the lush fertile valley that’s home to only 100 people. The adventurous can trek to the back of Waipio to see Hi‘ilawe Falls; the 1,300-foot waterfall is the tallest on island and is a magnificent sight to behold in person.